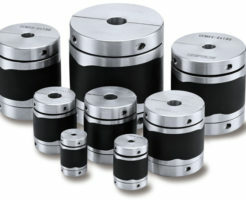 Our torque sensors are used to detect torque applied to rotating shafts, mainly used for testing motors, engines, and other rotary components. Those are available in wide capacity ranges from 0.05Nm to 10000Nm, and we have drip-proof type as well. 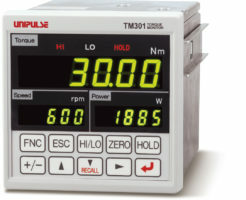 We also offer various instruments for monitoring torques, including (but not limited to) a USB interface for PC connection, digital indicators to monitor torque, rotation speed, and power simultaneously, and a power and energy monitor for motor test benches. ・ Analogue bandwidth 1kHz with high speed sampling rate of 6kHz. ・ Noise immunity has been greatly improved. ・With the protection against rain and seawater, it can be used outside for wind and water turbine and so on. 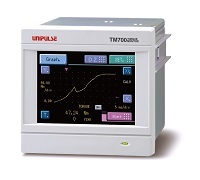 ・ Torque monitor for UTMⅡ/UTMV. ・ Display the curves of torque, rotation speed, and power. 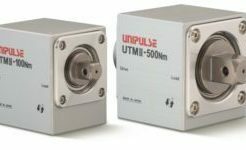 ・ Operation power can be supplied to the UTMⅡ/UTMV (and to the optional rotary encoder as well). 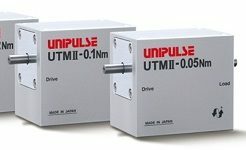 ・ Enable the cogging torque measurement with UTMII/UTMV. ・ Easy connection to UTMⅡ/UTMV with one cable. 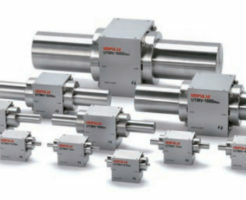 * Suitable for low-speed rotation and direct-acting applications. * Data are recorded on SD cards. 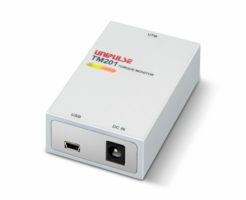 * Easy connection to UTMⅡ/UTMV with one cable. 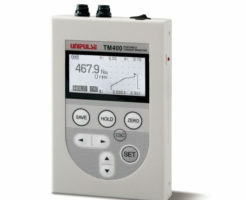 * Torque monitor for UTMⅡ/UTMV. * With the built-in battery, it can be operated even without power source. 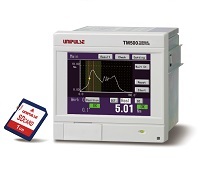 * Ideal for use with UTMⅡ (square shaft) series with the high-speed sampling at 20kS/s. * Operation power can be supplied to the UTMⅡ/UTMV(and also to an optional rotary encoder). * Variations of torque, rpm, and power can be monitored and saved on PC. * Maximum, minimum, and average value can be displayed. * Measurement (numeric) data is automatically saved in CSV format. * The unit supplies operation power to UTMⅡ/UTMV. * Two cables are attached: one for UTMⅡ/UTMVand the other for PC.